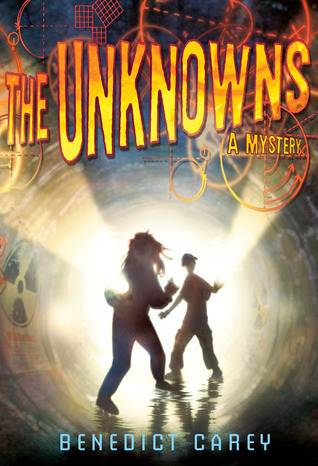 Tweens and teens, join MoMath at Tween Primes to discuss The Unknowns by Benedict Carey. In a trailer park called Adjacent, next to the Folsom Energy Plant, people have started to vanish, and no one seems to care. At first Lady Di and her best friend, Tom Jones, barely notice the disappearances — until their beloved math tutor, Mrs. Clarke, is abducted, too. Mrs. Clarke has left them clues in the form of math equations that lead them all over the trailer park, through hidden tunnels under “Mount Trashmore,” and into the Folsom Energy Plant itself, where Lady Di and Tom Jones and a gang of other misfits uncover the sordid truth about what’s really happening there. Join the fun on Sunday, December 9, at 5:30 pm, with pizza to follow. Enjoy more time at MoMath! Unlimited, MoMath’s mix-n-mingle program for middle and early high school students, will be starting right after Tween Primes. Register for both events for just $20!